The Greens and Grattan Institute have launched proposals for a government-funded national dental program while Private Healthcare Australia says the costs could top $10 billion. The Greens announced what it says is a $5.8 billion plan to provide Medicare-funded dental care to all young people, aged pensioners and concession card holders. Under the plan, eligible people will receive $1,000 over two years for dental care. "These people will still be able to choose their dentist, while having the costs covered by Medicare," says the policy, with a phased implementation, starting with people aged under 18 from 1 July this year, aged pensioners from July 2020, all "full benefit" recipients from July 2021 and all other concession cardholders from July 2022. According to the Grattan Institute, around two million Australians miss out on dental care every year due to cost, with "widespread poor oral health" the main consequence. "About a quarter of Australian adults say they avoid some foods because of the condition of their teeth; for low-income people, it’s about a third. Low-income people are more likely to have periodontal disease, untreated tooth decay, or missing teeth," says the Grattan report. It accepts moving to a "universal scheme overnight" would be impractical due to the expected annual cost of $5.6 billion. It says the federal government should announce a "roadmap" to a universal scheme, including plans to extend the existing workforce. "The first step is for the Commonwealth to take over funding of existing public dental schemes, fund them properly to the tune of an extra $1.1 billion per year, and enable private-sector providers to deliver publicly-funded care," it says. "Coverage should then be expanded – first to people on Centrelink payments, then all children. After that, the Commonwealth should take the final step to a universal scheme, ideally within a decade." It says a scheme should only cover primary dental care services, not orthodontic and cosmetic procedures, with patients maintaining the choice of provider and no out-of-pocket costs. Grattan proposes a range of funding mechanisms, including partial or complete removal of the private health insurance rebate from general cover, which includes dental, or a tax on sugar-sweetened beverages. It acknowledges that none of the proposals would cover the total cost of the policy and recommends an increase in the Medicare Levy. Private Healthcare Australia says Australia already spends over $10 billion a year on dental care and that the realistic annual cost of a new national government-funded program would easily top $10 billion. It suggests an alternative under which the federal government tenders its existing dental health programs to private providers including health insurers. “Health funds have a proven track record in delivering affordable and efficient dental care to Australians. Allowing health funds to tender as service providers would be much more cost effective, as they already have the infrastructure to deliver low cost oral healthcare in place,” said CEO Dr Rachel David. According to the association, "Health funds pay out over $2.7 billion per annum in dental benefits, which is more than Federal Government dental programs. One-in-two Australians claim for dental services through a health fund. A ‘Denticare’ scheme that threatens this contribution yet promises affordable dental care is not feasible." “Traditionally, dental care has been a cottage industry, with large variability in costs for the same service. 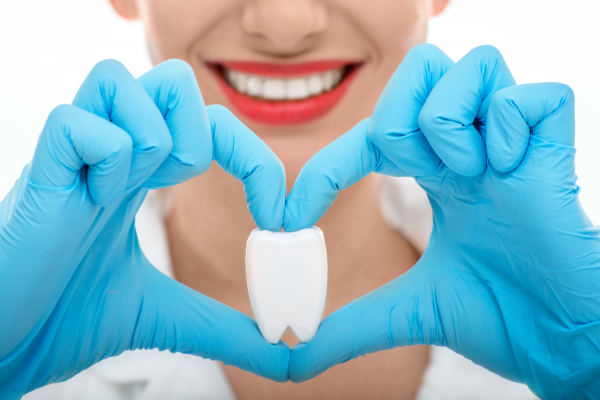 Approximately 85 percent of dentists’ work in the private sector in their main practice. Unlike medical treatments that are covered by Medicare, which have prescribed fees, dental care has no standard fees associated with the services provided by dental professionals. This can lead to a patient receiving different treatment plans from different dental professionals," said Dr David. “PHA has submitted its alternate proposal to the Government and Opposition to improve the efficiency of public dental care programs, reduce costs and improve access to high quality dental care for all Australians. Extending the efficiencies of private funders of dental care to the public sector could deliver further savings to the government."